Started in the Real Estate Industry in 1973 and established his own company in 1985. 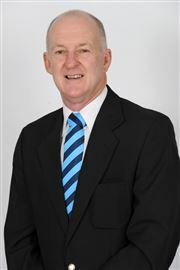 Currently specialises in Property Management, Residential Sales, Auctioneering and the Valuation of immovable & movable property. Gail joined the company full time in the mid 90's, having previously assisted in the Rentals Division on a part time basis. Today she is fully involved in the Rental Division and ensures that the statutory and financial affairs of the company are complied with. Self development and giving a great customer experience is the two main goals I strive for. Being part of the Harcourts team provide me with both. I have been involved in Retail and Commercial rentals within the Airports Environment since 2001. 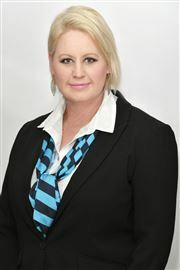 I am now part of Harcourts Summerton Team and looking forward to getting involved with Landlords and Tenants in a manner that will promote long term growth. I would like to grow my portfolio based on trust, dedication and to maintain good relations between Harcourts Summerton, Landlords and Tenants. Part of this growth would be a strict adherence to maintaining and enhancement of premises in my portfolio to ensure Tenant retention and optimize the value of the Landlord’s asset. 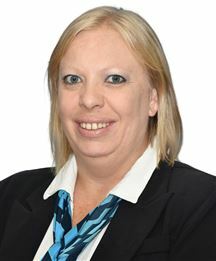 I entered the Property Industry in 1988 as a secretary to a new Company which had started in Port Shepstone. I wrote the Estate Agent’s Board Examination in 1989, as you could not be a candidate agent in those days. The property market was very strong and many of the Home Owners invested in a second and third property and hence the rental side to the company started which I managed under the guidance of our Principal at the time. Due to personal circumstances I left the company and my career went into a total different direction, but always dealing with the public. I later became a sales executive representing various factories based in Johannesburg. The company grew from strength to strength, which brought me to Port Elizabeth incorporating the Eastern Cape, Western Cape, Natal, Swaziland into my areas. I moved to Port Elizabeth in 2006. There was a change in the market and I was no longer needed by the company I represented. I then joined the Summerton Rentals team as a rental agent in November 2008 and did my NQLF4. The company has grown from strength to strength. I have my own portfolio of property that I manage. Included in my portfolio is a block of flats that is owned by one company, as well as houses and townhouses and individually owned flats. The suburbs ranging from Kabega, Westering, Lorraine, Charlo, Walmer, Newton Park, Central, South End, Summerstrand etc. to name a few. I am always looking for new properties to rent to perspective tenants, and through my client base, I do receive referrals, but am always looking for more properties to manage. My goal is to provide my clients with a professional service at all times. Having spent most of my working life dealing with the public on many levels, I find the rental business hugely rewarding. I am proud to be associated the Harcourt’s Summerton Rental team. We are growing at a rapid rate and offer a service to both owner and tenant that is unparalleled. I believe in going the extra mile to find the perfect tenant for the landlord and the perfect home for the tenant. I believe in providing excellent customer service through my positive attitude, integrity and passion for the property market.